Today security is a major concern, not only for me but also for almost every person using web. One of the major compromises on internet is keeping saved passwords on shared computers, even in our own device when almost everyone in circle uses it. Risk with a shared device is that anyone with your saved credentials can access your web accounts. Even though they mistakenly access accounts but still it counts as a breach. To tackle this issue, most of the websites had started giving a short note stating to not to remember credentials on a shared device, while authentication. As a permanent solution to this problem, a technology based implementation should be there so as to secure authentication as well as stop unauthorized access. OTP login is an authentication solution which is secure as well as user friendly . OTP login makes use of OTP which user receives on its cellular device via sms. Upon sending code from our website, a reverse counting timer starts with limited time limit. Generally the time limit is from 30 seconds to 3 minute. 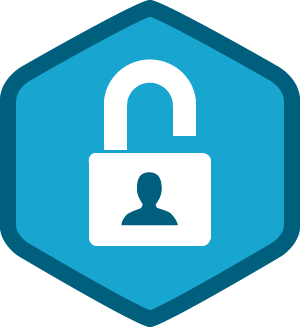 As soon as the code is received and validated on our website, the user gets authenticated securely. OTP as method of authentication can be implemented in 2 ways. First, it can be implemented as primary method of authentication. This eliminates the need of password because OTP is acting as a temporary password. Although it can be the primary method but it cannot be seen as a replacement for passwords. Second is implementing OTP as second layer of validation upon authentication. As the user successfully validates its credentials, it gets redirected to another page where they have to input 4-6 digit OTP code which they soon receive on their phone. After validating the code, user is authenticated and can proceed with authorized privileges. With implementation of OTP login into authentication process, security is improved.. That’s the reason I chose OTP login.